Our Alaska Division has been providing mechanical design-build services to Central and Northern Alaska since 1970. 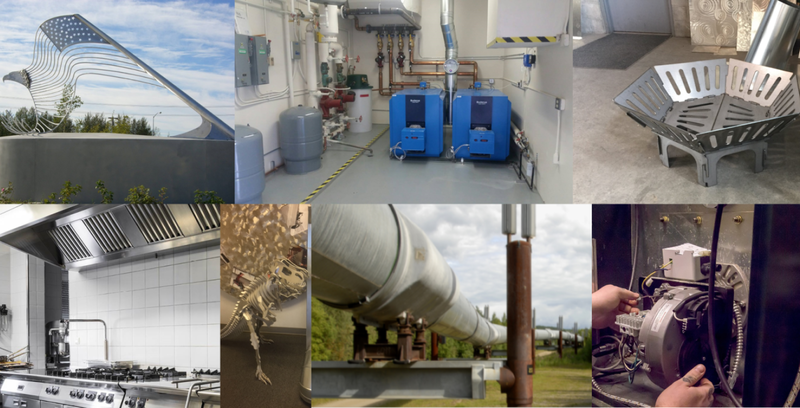 We design, prefabricate, install, and service HVAC systems; service plumbing and piping systems; provide mechanical insulation services; and create custom metalwork for commercial and residential projects. Our custom metalwork ranges from architectural metal building skins and pipeline jacketing, to metal sculptures and custom kitchen equipment.